The availability of this item varies and cannot be specified exactly. Please consider contacting our support team for more information. Highly corrected 102mm air-spaced triplet apochromat (with three lenses) and carbon fiber tube and a 2.5" high-precision HEXAFOC focuser. Apochromats are the ultimate choice in small to medium sized telescopes: the combination of compactness, transportability, very high image contrast and sharpness together with the possibility to make excellent astrophotos cannot be bested. The advances in glass manufacturing during the last few years have made true apochromats available to more astronomy enthusiasts than ever before. The new Explore Scientific FCD-100 CF Hex represents another major improvement in this field - the overall correction (color and spherical) is setting new standards in this price class. The optical design shows a polystrehl value of 0,97 indicating a level of correction that is absolutely top of the line. This excellent apochromat is a very versatile telescope: the fast f-ratio makes short exposure times possible. The high contrast and sharpness of the image provide breathtaking views of large objects like the North america nebula or the Andromeda galaxy as well as tack sharp planetary images. The telescope is lightweight and compact - the dew shield slides down the tube to minimize size for transportation. Revolutionary glass and precision manufacturing created a telescope that offers observing joy on the highest level. This does not only qualify this telescope as the ideal travel scope, it is also the perfect choice for fast observations and for astrophotography. 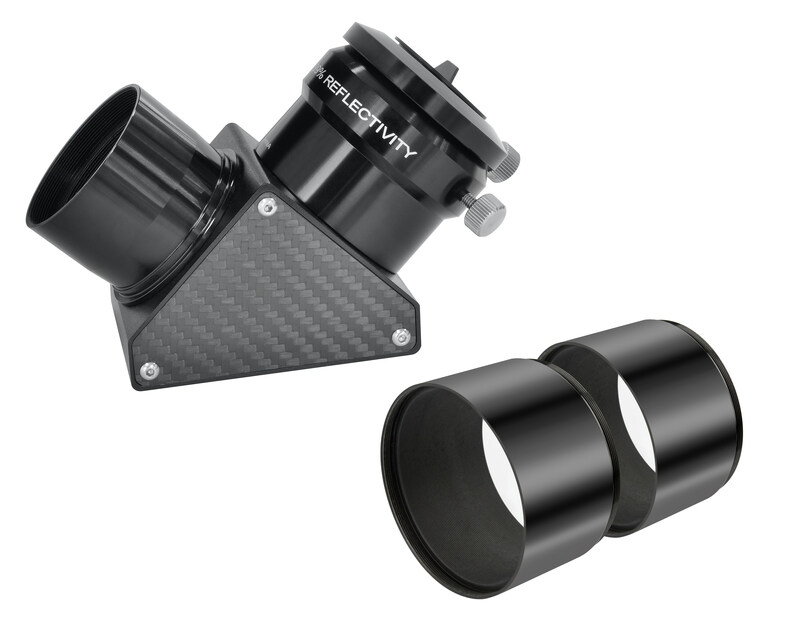 The excellent 2,5" HEXAFOC focuser with 10:1 reduction is perfect for this - the large inner diameter of 65mm prevents vignetting by the focuser when the telescope is used for astrophotography with large sensors.